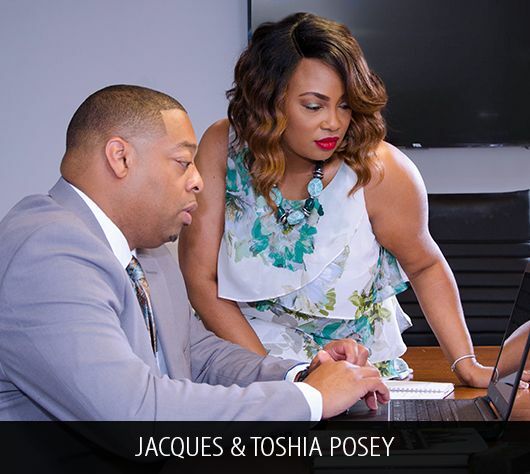 Spirit Led Ministry is the marriage and relationship ministry birthed from the God- centered marriage of founders, Jacques and Toshia Posey. With the leadership of the Holy Spirit and God at the center of their relationship, the Posey’s marriage was transformed as well as their thinking in every other relationship in their lives. Now the gifted couple is dedicated to helping other couples transform their marriages and relationships through the renewing of their minds with the word of God. Spirit Led Ministry provides biblical counseling and coaching, as well as support and resources, to couples and singles preparing for marriage to strengthen and equip them to live out God’s purpose for their marriage or relationship. The Posey’s teach that the key to a marriage or relationship living in God’s purpose is the submission of each partner to one another and the submission of the marriage to the Holy Spirit. The atmosphere of Spirit Led Ministry is one of encouragement, support and celebration. Jacques Posey is an author, inspirational speaker, and coach. God gifted Jacques with the ability to encourage and inspire others with his words and gave him a heart for couples and families. Following the prompting of the Holy Spirit, Jacques earned his Bachelor’s in Finance and a Master’s in Human Services, Counseling, and Executive Leadership to prepare him for the purpose he saw God unfolding in his life. Jacques stepped into his calling to serve men, women, and families by speaking, counseling and writing in the areas of marriage, relationships, and finances. 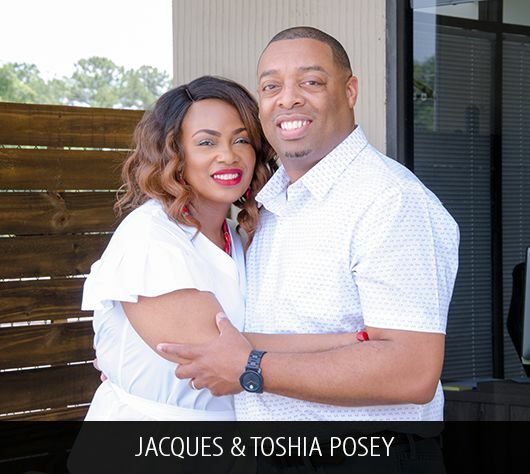 Jacques co-wrote the new inspirational book, “Spirit Led Marriage: Our Journey” with his wife and partner, Toshia Posey. Evangelist, author, speaker, and coach Toshia Posey is the co-founder of Spirit Led Ministry and co-author of “Spirit Led Marriage: Our Journey”. While pursuing a Master’s in Ministry and Business Administration and certification in counseling, Toshia has utilized her gifting in encouragement, speaking, and writing to inspire couples to transform their marriage with the Holy Spirit’s guidance. Toshia received her call into ministry in 2005 and later followed the Holy Spirit’s prompting to start Spirit Led Ministry with her husband.